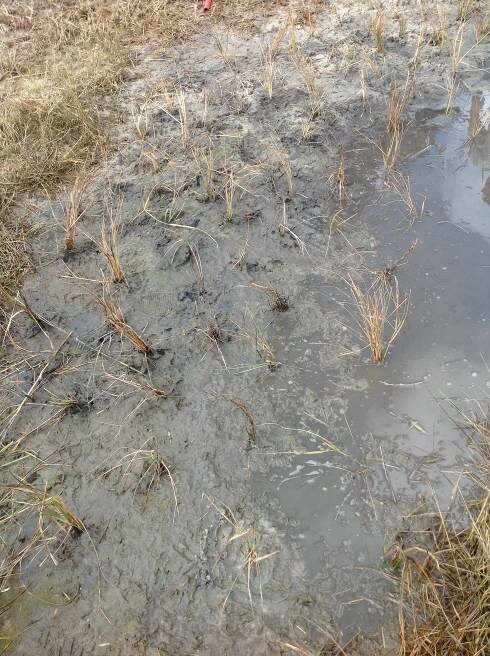 This project was funded in FY2014 through National Fish Habitat Action Plan funding. 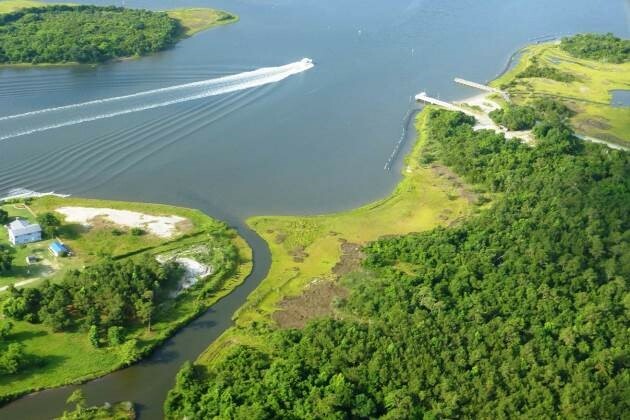 The shoreline of Stump Sound, North Carolina was experiencing erosion from boat wakes and storms, and degradation due to dredging, shoreline hardening, and high harvest pressure on natural reefs. 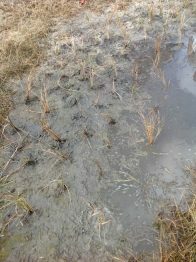 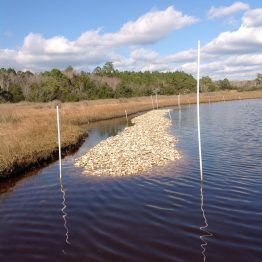 This reduced the amount of available habitat for estuarine-dependent species. 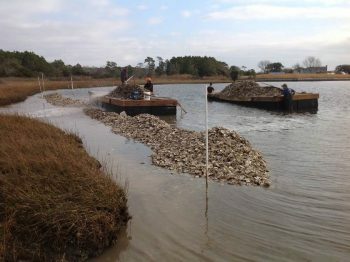 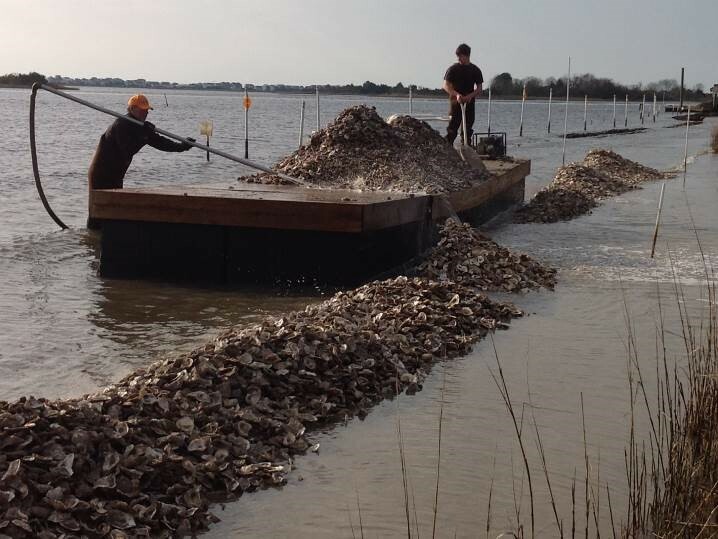 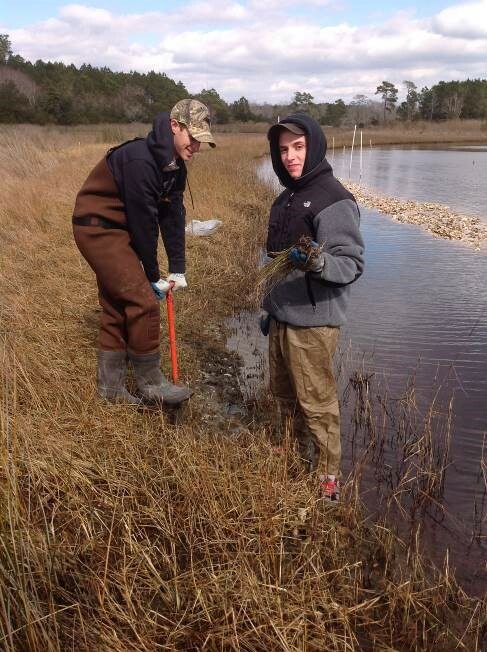 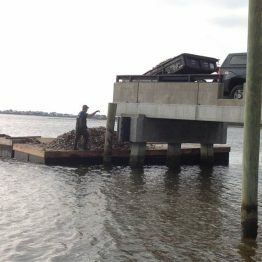 This project, led by the North Carolina Coastal Federation, protects 200 ft. of estuarine shoreline in the sound by restoring both fringing oyster reef and tidal salt marsh.